Norwegian ordered and got delivered the 18 Boeing 737 Max aircraft, more than any other company in Europe, but now that other airlines have been forced to take the black model out of traffic. 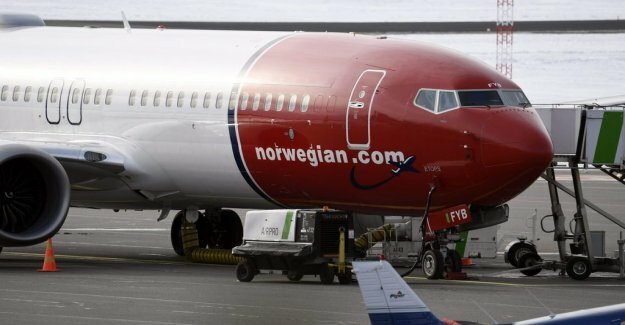 It takes place at a time when low-cost carrier least of all afford interference, and by the news agency Bloomberg described that the airlines in Europe that is most sensitive to have been forced to keep the Max pitch on the ground.
. On other stretches has the Norwegian been forced to take out larger models with increased costs and reduced competitiveness as a result. the Norwegian was pressed by the problems in the cash flow already before the second crash occurred with a 737 Max-plan on 10 march. The course of the company's share has fallen steeply since the end of January. the Company's ceo Bjørn Kjos said last week that the cost to park, the plan needs to be taken by the manufacturer, Boeing, but in doubt yet about how it will be. Norwegian is now using, among other older models of the Boeing 737 in Europe. Some flights over the Atlantic ocean has been suspended while the other is operated with the Boeing 787.